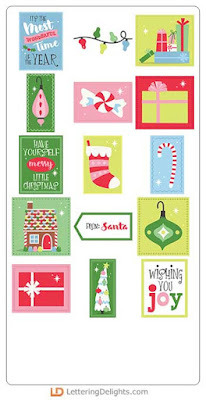 75% off LD Christmas product plus FREE PRINTABLE TAGS! Did y'all have a great Thanksgiving? We ate and ate and shopped too much and now it is time to start working on those Christmas cards. Luckily, LD has started their Jingle Sale and we all get to save 75% off their Christmas products right now! 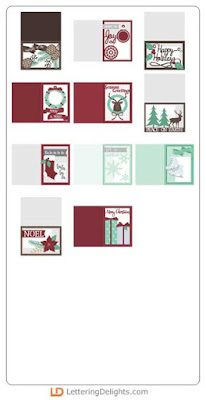 LD has also released a new Christmas-themed collection. The Merry Mice are whimsical and fun and I just love how colorful the whole collection looks. So cheerful! 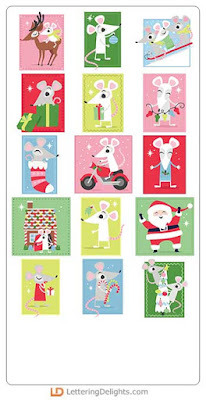 CLICK HERE TO CHECK OUT THE MERRY MICE. CLICK HERE or the image above to go to the LD site. 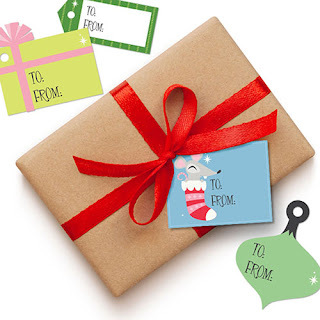 Add the Merry Mice printable tags to your cart and checkout. You pay $0.00! 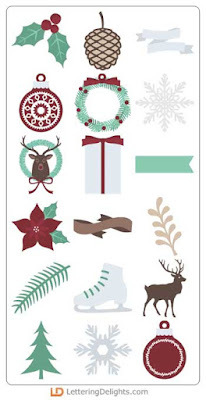 Silhouette users, Silhouette is giving away a free design everyday from Nov 24- Dec 5. 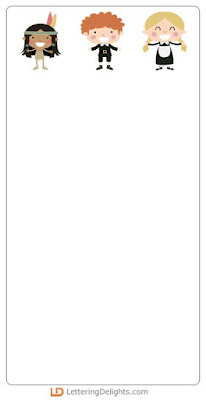 The shapes below were given out this week. 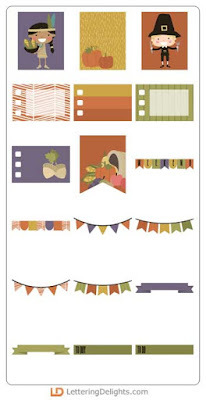 Be sure to check the Silhouette Design Store for a new freebie daily. 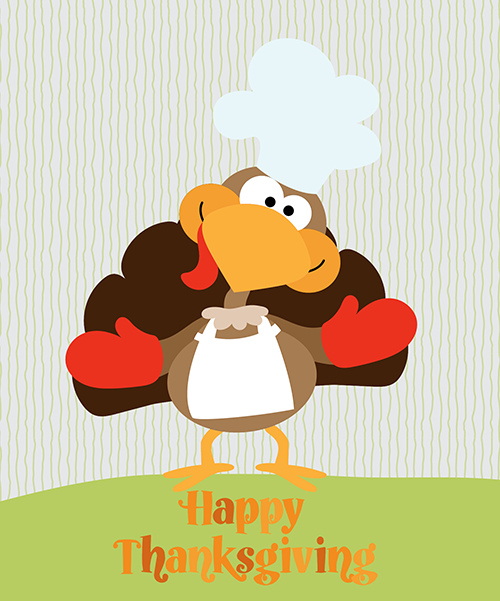 I hope that you are enjoying today with the people you love. may the deals that come after be plentiful. ** HURRY!! ** $209.95 Silhouette Cameo 3, free Prime Shipping. If you have been waiting to upgrade your Silhouette Cameo or the Cameo 2, here's a deal for you. You can get the Silhouette Cameo 3 for only $209.95! Please note that Amazon changes their prices often and I don't know how long this deal will last. If you want one of these, CLICK HERE to get one before it's gone. If you have not seen the latest LD release, hurry and go see it now. It's beary cute! 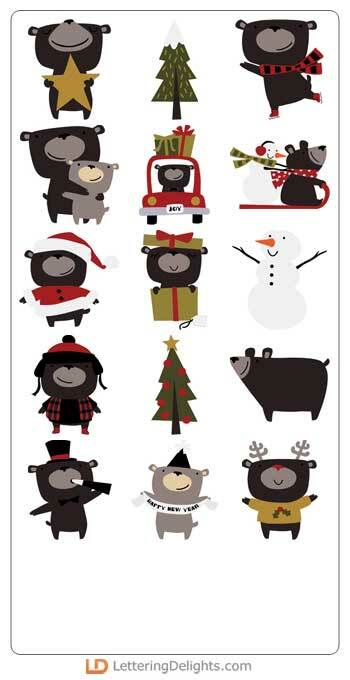 I *heart* this collection of holiday bears. So adorable! 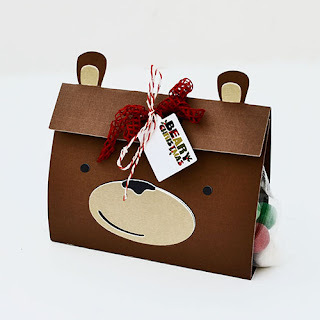 The new Beary Christmas release include a cut project (SVG included), cut sets (SVG included), graphics, paper, and 2 different alphabets. CLICK HERE TO SEE THE WHOLE COLLECTION. CLICK HERE or the image above to go to the LD site. 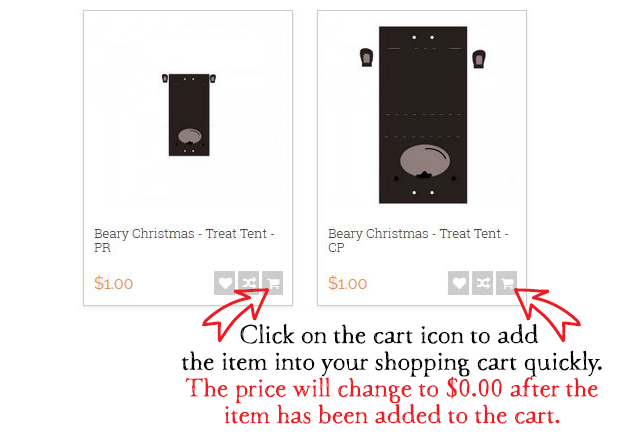 Add both the Beary Christmas - Treat Tent printable and cutting files (SVG) to your cart and checkout. You pay $0.00! Silhouette users, there are two freebies in the Silhouette Design Store. Click on the images below to get them. The weekend is upon us and once again, LD has added a new collection to their store. CLICK HERE TO SEE MERRY AND BRIGHT. Did you get your free McStuffing yet? The LD promotion is still on and if you have not already downloaded your files, CLICK HERE to see how you can get the whole collection for free. CLICK HERE or the image above to go to the LD site. 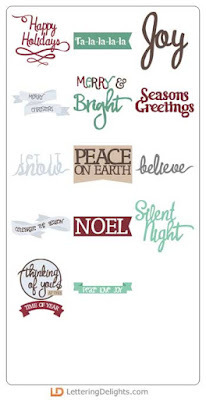 Add the Merry and Bright - Tags (Printable) to your cart and checkout. You pay $0.00! 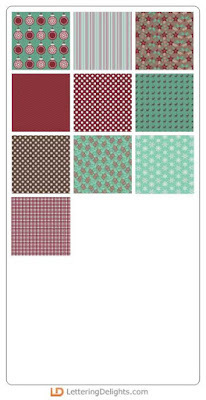 FREE: Hinterland - Harvest Acorn Kiss Covers (SVG). And just like that, Halloween is over and the holiday season is upon us. I was at Target the day after Halloween and I was amazed that the Christmas stuff were already on the shelves. Everything looked so cute! It was really hard to restraint from buying up all their new Christmas ornaments. 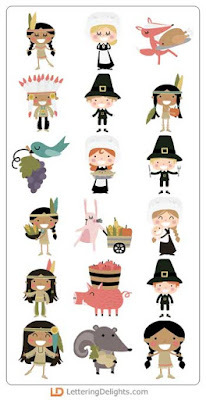 LD has also just released two adorable new collections for Thanksgiving. 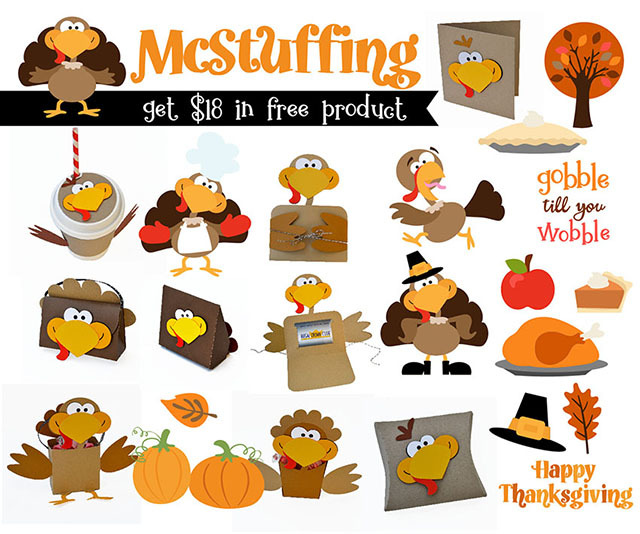 The McStuffing line is their new monthly promotional bundle. If you spend $5 or more in the LD store from Nov 4 - 28, you can get the whole thing added to your library at no additional cost. CLICK HERE FOR DETAILS OF THE PROMOTION. I am in love with LD's new Hinterland-Harvest collection. I know that I sound like a broken record when I keep saying that the LD's designs are so cute but it's true. 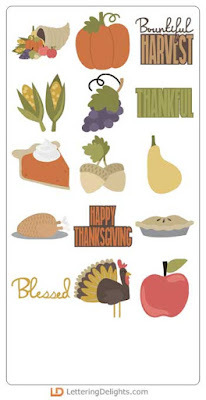 Just look at the Hinterland - Harvest cut set or graphic set. The figures are super kawaii! CLICK HERE TO SEE THE HINTERLAND HARVEST COLLECTION. CLICK HERE or the image above to go to the LD site. 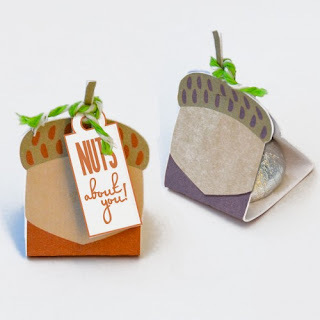 Add the Hinterland - Harvest Acorn - CP (Cut Project) to your cart and checkout. You pay $0.00!